Join us this summer to Catch the Hatch! This new project will track mayfly emergence in Boulder, Left Hand, and St. Vrain Creeks to help inform watershed health. As you know, mayflies are sensitive to pollution and changing climate. A lot of great organizations sample aquatic insects in streams to inform water resource and land managers on changes in water quality throughout the region. As you may not know, science does not do a great job at tracking the emergence and adult phase of these insects. 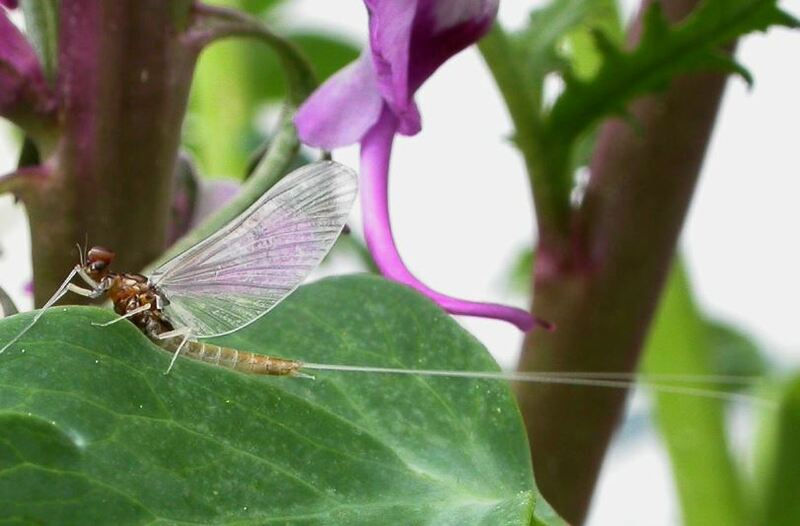 The emergence of mayflies is a critical life stage for reproduction and as a food source for fish. If you are around this summer and fishing or hiking along your Front Range creeks, you can help this project inform science! The project will provide you with nets and sampling tools to capture and identify emerging mayflies. This year, for our pilot study, we will be tracking the Pale Morning Dun. If you are interested in learning more, sign up for our project email list by contacting Deb at dhummel [at] lwog [dot] org or call at (720) 818-4573.